Will Texas Land Commissioner via George P. Bush Fix Cisnero Family Land Disputes? Alex Ruiz, a/k/a David Alejandro Ruiz has been getting the Texas runaround with regard to land his family owns. This is not your ordinary land grant issue …. nay, this story has to do with the Cisnero family who has possession of the land title deed. Ruiz reached out to George P. Bush who is now the head of the Texas General Land Office to no avail, so when the time comes for the Republican National Committee or the GOP to reach out to “Hispanic / Latino” voters come 2016 with George P. Bush as the brown pawn — we will be right here to remind Chicanos and Latinos how George P. Bush dropped the ball as Texas Land Commissioner when an influential Texas family member sought professional public servant advice. Ruiz also contacted Senator John Cornyn’s office with regard to the land title his family owns dating back to 1792. Sen. Cornyn’s office pointed Ruiz to the General Land Office — getting more bureaucracy. Members of the Cisnero family want to know how to hold Texas oil companies accountable for the mineral rights that rightfully belong to them. Last year, Mr. Ruiz gave a letter to a CIA agent (to give to President Barack Obama) when he and other members of Chingon played for the President. However, we do not believe the Secret Service agent ensured the letter was given to President Obama and we are now following up on the letter. The letter was hand delivered to a Secret Service Agent on July 9, 2014 at a Democratic Fundraising Party when Ruiz and Chingon band members performed at. It gives me great pleasure to be the first in my family to meet, greet and sing for you. My name is David A. Ruiz. I am the lead singer for Robert Rodriguez’ band, Chingon. I have been a supporter of yours throughout your administration. I know you are an answer to many prayers whispered throughout American History. I have seen your struggles within the House and want you to know that you are not alone. You have awakened The Nation. I am writing this letter also as a way to reach Washington in a much needed time for South Texas Pioneer Families, who have been afflicted by criminal activities with no help from the Texas government system. We are engaged in a long series of disputes with the State of Texas and General Land Office, Comptroller’s Office, and Railroad Commission dating back to Civil War times, when Texas was just joining the Union. We have proof of crimes and grand theft over lands and livestock and now minerals from certain families. These families and Texas still have control over these lands to this day. We are asking for justice to be served and for Texas to withhold the Rule of Law which we feel has been one sided throughout Texas History. We are currently involved in a referendum with Texas House Bill 724. In this Bill there are hundreds of millions if not billions of dollars being allocated to the State and its departments in which we have known for a long time have belonged to these families I speak of. These monies get allocated and dispersed to a long list of personnel and it is the monies we here in Texas call “Dark Monies”. Unfortunately, a system of government infected with corruption and ruthless ambition and greed. With violations of territorial integrity and a history of intimidation and unethical means by people in power here in the Texas system this has become an endemic problem within the US boundaries. We seek the immediate assistance of Washington or any World Court that could help us with these corruptions and inefficiencies. We need to hold those accountable for their actions that have wronged the families of the pioneers of Texas. We are respectfully asking you to lead us through this dark valley. We need the US Department of Justice to see that our people who hold titles and have precedence are still protected by the US treaties of Guadalupe Hidalgo, which President Lincoln signed, and The Adams Onis Treaty of 1819, which protects the rights and lands of our Spanish Pioneer families against hostile take overs and grandfather clauses. Would you please help us in our cause to redirect Texas Government for the people and by the people. God Speed Mr. President, we send our love and prayers for you and your family. As is practiced in South Texas: Mi casa humilde es su casa. Brown Lives Matter: Does GOP dehumanizing of immigrants affect reporting when immigrant woman dies of domestic violence? October is supposed to be domestic violence awareness month -- but that does not seem to be the case in Bear, Delaware, when a pregnant woman of 6 months was reported being beat and hospitalized. The hospital staff was able to save the 6 month preemie baby. A presser was issued by the New Castle County police department notifying media of the hospitalization, however, no presser was conducted regarding the woman's death beyond their October 20, 2014, communications. Information regarding festivals, square dances and the like were discovered on the New Castle County PD press release page, but we could not locate news of the death -- only by word of mouth. Had agencies or news outlets reported the death of this young lady, the giving hearts of American people may have learned faster how to help the now motherless baby with resources to help pay for the expense of a funeral and preemie baby needs. 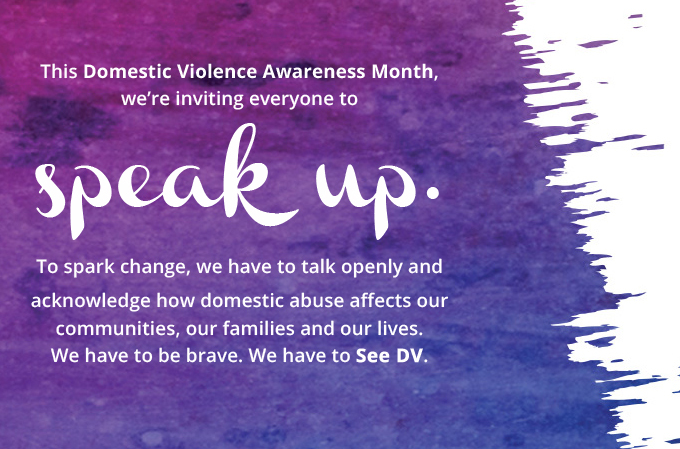 Since the immigrant woman died on October 29th, 2014, it would have given Bear, Delaware, the chance to educate the people in their region the horrors of domestic violence and how it may sometimes lead to a tragic death and story. We believe more and more people should look for possible signs in helping those who are suffering from domestic abuse and we should be better with this sort of education to this regard. Paola Eden Delagado Polanco was a young thriving girl and full of life, with charming simplicity and humility. 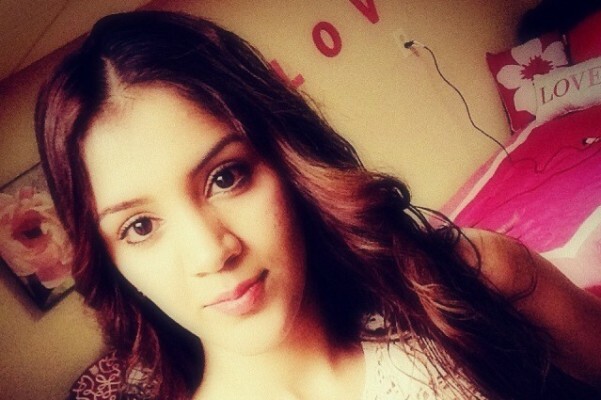 She died October 29 at her 21 years as a victim of domestic violence caused by her boyfriend in Bear, Delaware. Paola was six months pregnant, and by a miracle the baby survived. God has plans for all of us and Paola is now in the kingdom of heaven with our Heavenly Father. She was beautiful, but her inner beauty was far more radiant than her physical attractiveness. We urge support for funeral expenses and to send her body to rest in her home town of Puente de Camotlan Nayarit, Mexico. We also ask for your help in the expenses for her premature baby girl who has a long journey ahead of her. Thank you and may God bless you . As legal immigration reform supporters, we ought to consider how the anti-immigrant sentiment fueled by Republican bigotry (when they adopted self deportation ideas with the blessing of Kris Kobach) contributed to the dehumanization of immigrants. 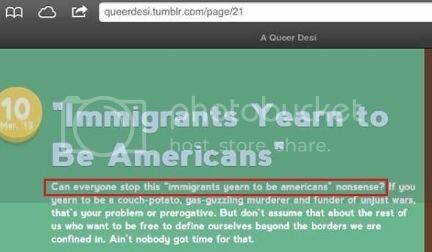 Could the sentiment contributed to nonchalant reporting because some view immigrants as less than human or as an equal? It is shameful Delaware Online did not report this abuse and death leaving behind a precious innocent baby in need of community support when the mother died on October 29 and during Domestic Violence Awareness month. As we embark Dia de los Muertos, may word of mouth and social media be sufficient to help the needs of the grieving family and the surviving 6 month preemie that is currently hospitalized. We implore those who can give to give what theyu can to help this family -- even if it is $5.00 because a little will go a long way collectively. It is a miracle the baby survived. Citizens for Better Arizona (CBA) (an operation run by the likes of Randy Parraz and Chad Snow) has come under tremendous fire recently from the Carlos Galindo show who has played audio clips from a young lady under the age of 18 years of age that was misled with regard to Arizona politics. This is not the first time this has happened. CBA was under fire for raising money to the last day of their failed Arpaio Recall Effort even though they knew they did not have enough signatures to recall Arpaio. It became worse when CBA then claimed they shredded the signatures for the failed Arpaio recall and would not be transparent with their operations though they consistently peddled for money. Recall efforts cost Arizona tax payer dollars and this is touchy situation for Independent voters who are fiscally responsible and do NOT believe in operations that are not calculated risks. Independent voters in Arizona are now the largest voting bloc and we are organizing and broadening our Coalition against folks and non profit organizations who manufacture a crisis situation in order to line their pockets with finances. In addition to holding CBA and Randy Parraz accountable, Carlos Galindo and the independent coalition will continue to uphold the integrity of elections. We are committed. We do not turn a blind eye because you have an (R) or a (D) beside your name. Carlos Galindo was the first radio talking head to come against Randy Parraz and CBA, and it is no surprise Citizens For Better Arizona has been under fire from The Blaze. “You f*cked up. Admit it, apologize, and we can all move on. And in the future, just keep our names out of your mouth and off your little blog and we can all forget about this. Randy Parraz and Citizens For Better Arizona are becoming as controversial as ACORN now, and it began with their Arpaio debacle. I implore the reader to not to give CBA any money, NOR should you trust them with your ballots! 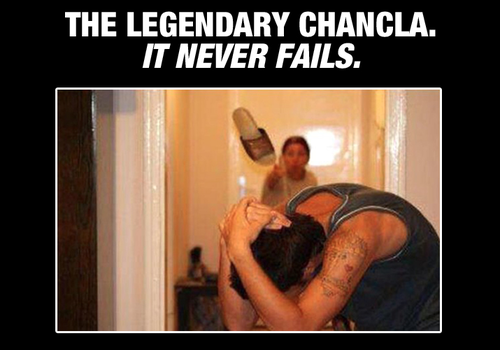 Chicanos Give Erika Andiola Un “Chanclaso” For Naive Ideas Regarding the Vote! Chicanos have had it with DREAMers who are being manipulated by the Republican anti-immigrant Tea Party people — and it is time to clean house. We refuse to entertain the ideas Erika Andiola is peddling. For the record, Erika Andiola and Cesar Vargas are part of the FOR PROFIT DRM Action organization. They ask for donations to help themselves pretending to be for gente. Erika Andiola and her ilk have threatened to boycott the Latino vote, but Chicanos and Latinos refuse to throw away our vote when we know people have died for our right to vote; and just because Andiola cannot vote — this does not mean we will put ourselves in the non-voting category with her. Chicanos believe our vote is powerful. The veteranos of the Chicano Movement used to raise money in order to pay for poll taxes in order for our gente to vote and we refuse to go backwards after Chicano leaders of the 60′s and 70′s fought to get where we are at now. Chicanos will use our vote voice to advocate for the undocumented who cannot vote! There were 3 Spanish media outlets who wrote about those who are repudiating boycotting the vote idea here in Arizona: La Voz, Prensa Hispania and Telemundo. Univision did not help counter the ‘boycott the vote’ message here locally in Arizona. Un grupo de votantes independientes y miembros de la comunidad latina se manifestaron en contra de la medida de boicotear el voto hispano, esto a raíz de una publicación de la activista Erika Andiola, referente a castigar a los demócratas con no salir a votar el próximo 4 de noviembre. En el comunicado, los votantes independientes, señalan que las personas involucradas en estas declaraciones son irresponsables por difundir este tipo de mensaje. “La idea de hacer una huelga al voto es ilógico, sin mérito y un desastre para nuestra comunidad”, se lee en el documento. Rubén Reyes, licenciado en Migración y votante independiente, señaló que se encuentran comprometidos con el valor de participar con el voto para hacer valer los derechos de los hispanos. “Hay grupos que están organizando una huelga para no votar, Erika Andiola dio un mensaje por el Facebook donde indica que se debe de sacrificar el voto. No estamos a favor, somos un grupo comprometidos con los valores de votar”, aseguró. Por su parte, la Erika Andiola, activista por los derechos humanos de los migrantes señaló que esa publicación no es reciente y que se trata de un malentendido. “Puse en letras grandes ‘teóricamente como se sentirían los demócratas si los latinos algún día boicotearan el voto para ellos’ o los latinos se hicieran independientes para que no estar en las manos de los partidos”, explicó. “Nunca hicimos nada proactivo para decirle a la gente que no vote, era específicamente con el partido de los demócratas, salió el enojo porque muchos activistas son muy cercanos al partido demócrata”. (Above) Chicanos reject Erika Andiola’s message above. I had a quick opportunity to interview Robert Rodriguez on the red carpet at the ALMA awards 2014 with regard to November 4, 2014, Election Day. I was amazed he had already heard of some of the “TeaDREAMers” and others who were entertaining boycotting the vote on the upcoming Election Day. Exactamente. What a chingon response. 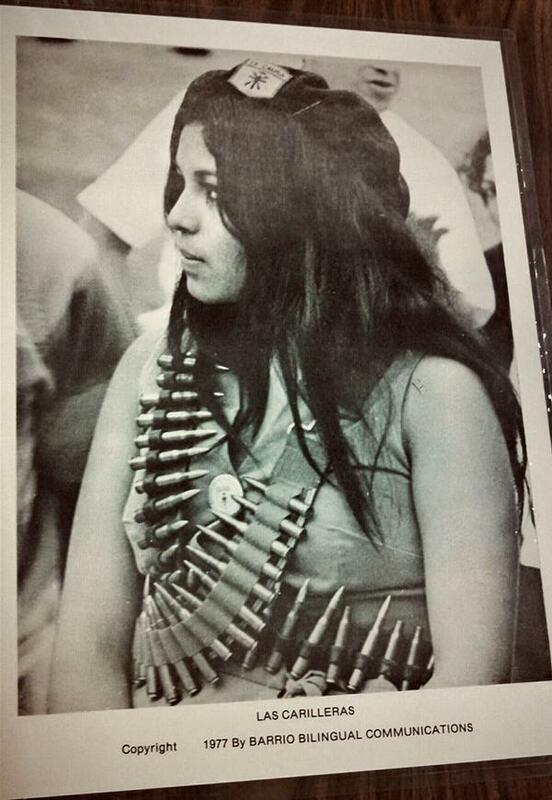 As a Chicana activist, I know people died for our right to vote. We must not be used as weak pawns to fit the agenda of those who align themselves with bigotry. It is unAmerican to boycott the vote. Our power to guide the direction of the country comes from our assertive voting. Veteranos of the Chicano Movement used to raise money in order to pay poll taxes, and we must carry on the tradition of Chicano leaders who ensured our vote counted. Chicanos and American Latino Voters will VOTE despite the “Tea” DREAMers who are advocating for a boycott of the vote. These TeaDREAMers have not been transparent when they did not reveal they were working for and with Tea Party Republicans. Southern Republican of Alabama via Senator Jeff Sessions is notorious for his bitter obstructionist history. Sessions has history linked to America's racist past. For instance, according to writer Sarah Wildman, "a black former assistant US attorney, Thomas Figures, testified that Sessions had called him "boy", and that he had joked about the Ku Klux Klan in ways that implied he wasn't particularly appalled by their appalling tactics. UPI reported during the hearings on Figures's testimony." Now Sessions is at it again, except this time he wants to bind and tie President Obama's hands behind his back and the measure is set for vote today. The Senate is poised to vote on a Republican-led measure Thursday to prohibit President Barack Obama from unilaterally granting deportation relief to any undocumented immigrant. The "motion to table" will be pushed by outspoken immigration hawk Sen. Jeff Sessions (R-AL) prior to the vote on a House-passed bill to keep the government funded through Dec. 11 and let Obama arm Syrian rebels to fight the Islamic militant group ISIS. Sessions' office says he'll bring up the House-approved measure to sunset DACA (Obama's "deferred action" program for qualified young people) and prohibit further executive actions Obama has promised to take after the midterm elections, which is expected to grant temporary deportation relief and work permits for low-priority migrants. "This is the time. It's either stopped now, or it may never be stopped," Sessions said. Senator Jeff Sessions is guilty of wasting tax payer resources and money that could be used on the Republican-led House of Representatives. Everyone knows the Democratic-led Senate already passed immigration reform almost one and a half years ago, and the whole legal immigration reform issue would be resolved if the Do-Nothing House of Representatives led by Republicans woulld simply DO SOMETHING and pass the bill the Senate passed over a year ago. In other words, Republicans would rather spend energy to "bind or block" the President instead of fixing the clearly broken immigration system. My fellow Americans, those are your tax payer dollars going to work. It's time to #DumpTheTea.